The run-up to the Yule festivities is always so busy, isn't it? One thing I'm not going to be worrying about though is what to do for my Winter Solstice ritual, because I have a lovely Yule Ritual Box from Wicca Moon. It arrived a few days ago and I opened up the box with delight and put the the hanging decorations from it (pictured right) straight on my tree. However, I only just found time to sit down and read through the pretty scroll in the picture at the top. It contains a Yuletide ritual and information about seasonal magic and folklore. I've also had a closer inspection of all the goodies that came with it in the box. Here's my review. All of the Wicca Moon Wheel of the Year boxes contain a wealth of information about the season, the approaching festival and spells and activities you can try out. This time there is information on the folklore of holly, ivy, mistletoe, pine, yew, wreaths and kissing boughs, as well as a recipe for magical fruit bread and instructions to make a Yuletide charm. Then, of course, there's details for a full ritual suitable for a solitary practitioner. Before the ritual, you are invited to take a luxurious bath with handmade herb mixture and soap (pictured at the bottom of this post). You can then anoint yourself with ritual oil, also provided in the kit. All the products smell wonderful. When you are cleansed, you then adorn your altar with other items from the box. 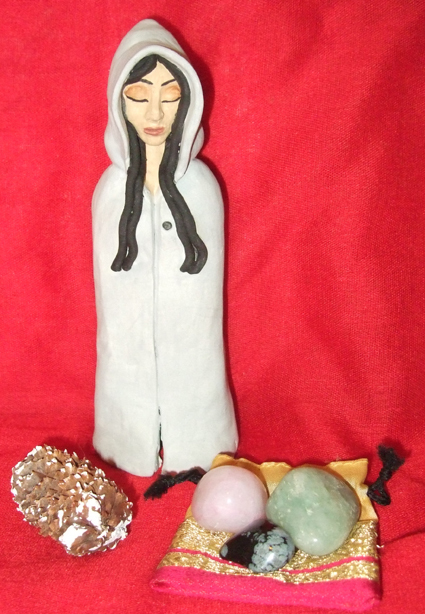 These include the lovely handmade ceramic statue of the Winter Goddess that you can see in the picture (above left) with a pine cone and crystals in a pouch. I really love that statue. This is the second Goddess statue I've had from Wicca Moon. 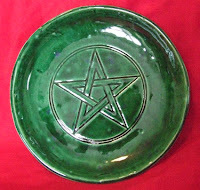 The Ostara Ritual Kit contained a beautiful pottery Goddess of fertility. It does make sense to have both summer and winter goddesses to mark the changing seasons, and both of the small statues are perfect for an altar. 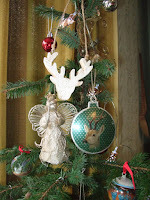 There are also other items with which to decorate your altar, including an altar cloth, a sleigh bell and glitter. The ritual itself is nice and simple - just what I prefer for a solitary rite. You burn the incense and jar candle and say some words to honour the light of hope in the darkest time of the year. The Yule Ritual Box actually contains two candles. As well as the white, scented one in a jar, there is a handmade red and green beeswax candle that would be lovely as an altar light. You can see both the candles, together with the glitter and large box of incense, in the photo above right. 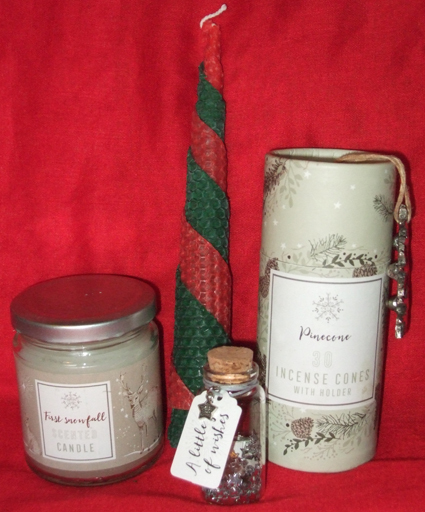 Although I haven't burnt the candles yet - I'm saving them for the Winter Solstice - I have opened up all the jars and tried out an incense cone. The scent that filled the room evoked the spirit of midwinter just by itself! 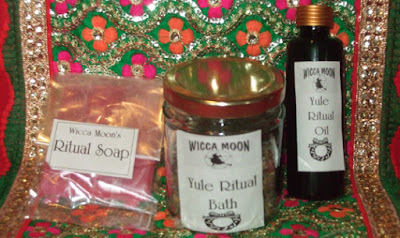 I've had all of Wicca Moon's seasonal ritual boxes this year and they have really impressed me. I've loved receiving them in the post, opening them up and using everything inside. This one is the best of the lot. I would recommend it to any pagan or witch who wants to treat herself to a lovely Yuletide present.